Starting on Monday 28 January 2019, sign-up deadline Friday 25 January. Please book early to avoid disappointment. WHERE: Woolston High Street, St. Mark’s Institute (31 Victoria Rd, Southampton SO19 9DY). There are several free car parks within minutes of the venue, and often there is parking on the high street itself which is free after 6pm. Happy 2019! Are you ready to do something good for yourself this year? Do you live in Southampton — especially Woolston, Bitterne, Sholing, Lowford, Netley, Hamble or Hedge End? Have you always wanted to try yoga because you’ve heard good things about it, but haven’t had the courage to just show up at an established class? Yoga Basics is a six-week long yoga course for beginners. If you have no experience with yoga whatsoever, this is the place for you! Although I might add that even if you have done yoga in the past, you will probably learn a good deal of new information. 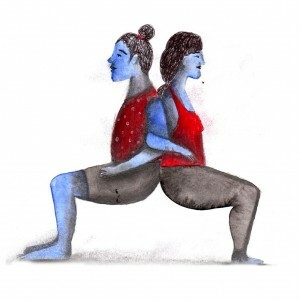 There are about 40 key asanas (or poses) on our syllabus; you will learn the proper technique, breathing and anatomy of each pose, as well as how to link asanas together. Each week we also explore different anatomical principles and how they relate to yoga as well as our everyday life. Prepare to make friends with your hamstrings, psoas, obliques, diaphragm, sternum, sacrum and other lovely bits of your body you vaguely know you possess but aren’t quite sure why. This is a journey of self-discovery. You will gain a greater insight into the workings of your body, and learn to apply the most up-to-date principles of optimal movement as supported by scientific research. Will the course be hard? I am no slave driver, but I believe that anything worth doing is worth doing well. I want you to give things your best shot, nothing more, nothing less. There is no competition — you work just at the edge of your comfort zone. Prepare to be challenged, and rewarded as you improve in strength, flexibility, endurance and coordination. 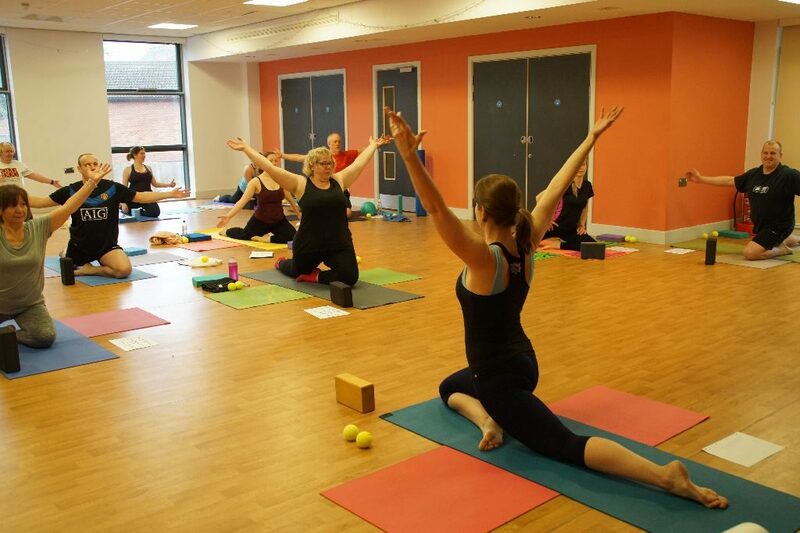 At the end of the course, you should feel confident to walk into most beginners/intermediate yoga classes and get on with it, and also be able to roll out the mat at home and strike a pose or two. Note: This is a beginners course but successful participation does require a basic level of fitness and mobility. If you struggle to bend over, step your legs apart wider than two feet, get on and off the floor, kneel on all fours, or put pressure on your hands due to weakness in your wrists, you may find the course a bit too much and would probably feel happier in my Monday or Friday SUPPLE SILVER classes run at the same venue in Woolston. This also applies if you are over sixty and very new to exercise or have a health condition that needs a gentler approach. What will my classmates be like? An important part of the BraveBodies experience is being part of a fun and supportive community. The youngest participants are in their twenties, the oldest in their sixties or even seventies. The atmosphere in each course is always nothing but friendly and relaxed. You will get to know all your classmates throughout the six weeks, and will have familiar faces to look forward to during the course and beyond as you continue on your yoga journey together. Please wear something stretchy and comfortable (but not too loose, unless you want everyone to have a close look at your six-pack!). No shoes are necessary. Give your dinner an hour or two to go down — this includes coffee or any other acidic drinks. You will be glad you did! Course cost: £60, £55 for seniors or full-time students. There are only 18 spaces available for each course, so book early to avoid disappointment. Please contact Barbara at 0798 223 6118 or email at bhelisova@gmail.com to complete your booking. Cancellation policy: Cancellations made prior to registration deadline will be fully refunded. No refund will be offered after this date. In certain cases, you may be able to use a credit of £40 toward the next course. If I have to cancel the course or part of it for whatever reason, you will be of course refunded in full — either for the entire course, or per number of missed sessions, as applicable. If you don’t have a mat, you can buy one from me, or borrow one for a short period of time if needed. Even though I have quite a few communal mats, I encourage my students to have their own mat for sanitary reasons. The mats I sell are good quality and cost around £15. I work with two mats, as you can see on the photo — so you can have one mat as your main and another one for extra padding and movement. A good place to purchase your own mat is TK Maxx. Please make sure it’s a proper mat intended for yoga. Do you need any more information? Then please get in touch and I will answer all other questions. Again, my number is 0798 223 6118, and my email is bhelisova@gmail.com. Read what others have to say about Yoga Basics! “I signed up for this yoga course for beginners because I really wanted to learn the foundations of yoga. I wasn’t disappointed! This isn’t just a rock up and pose class. Week by week Barbara takes you step by step through different poses, ensuring you have the correct form and understand the benefit of each one. Important: Although yoga is commonly used as therapy for many ailments and has a fantastic potential to improve your health and well-being, this course is directed at those with reasonable level of mobility. If you suffer from any acute problems, or have had a major operation or injury in the past which is affecting you physically in any way, consider trying a private session first — after you’ve spoken to your GP. Some of what we do may be contraindicated for your particular condition, and as much as I try, it is not possible for me as a teacher to closely supervise you in a class setting. Remember, yoga can heal you, but it has to be used wisely! It is not a one-size-fits-all practice. IF YOU AREN’T ABLE TO ENROLL ON A COURSE AT THIS TIME BUT WOULD LIKE TO RECEIVE UPDATES AND NEWS FROM ME, YOU CAN LIKE BraveBodies ON FACEBOOK OR SIGN UP FOR OUR NEWSLETTER AT THE TOP RIGHT CORNER OF THIS PAGE!